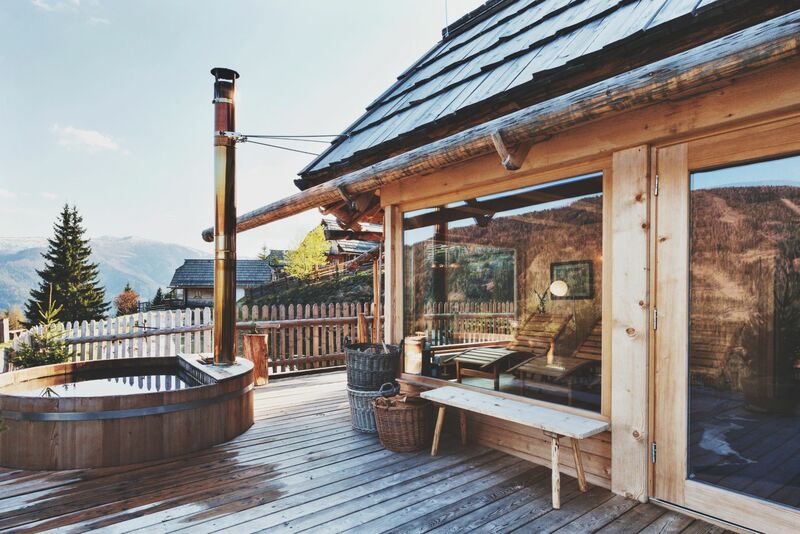 After a magnificent weekend at the Kempinski Grand Hôtel des Bains in St. Moritz, together with Sonja and Maria – I was invited to the most beautiful village of the Almdorf Seinerzeit, to stay in a romantic chalet for a couple of days. Almdorf Seinerzeit, is located in Carinthia (ger. 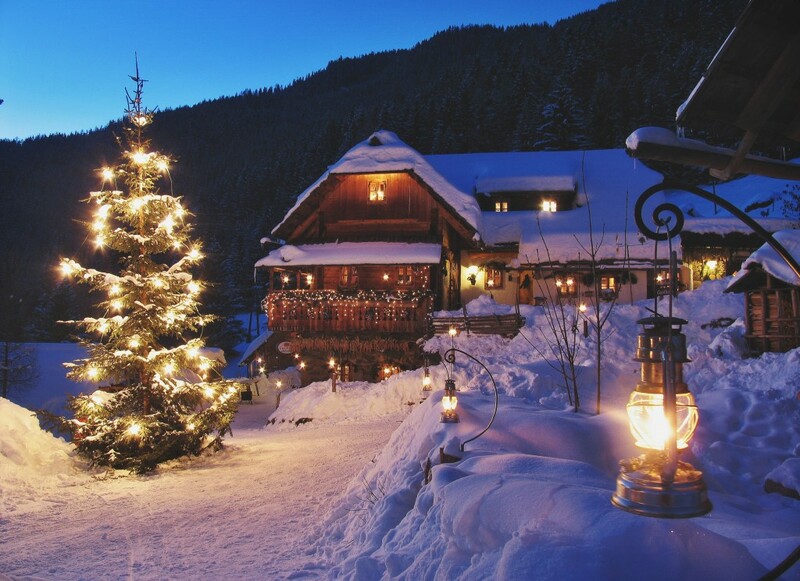 Kärnten) at the southernmost Austrian state, situated within the Eastern Alps. Our journey by car started from St. Moritz, than we took the highway Munich, Salzburg and Villach – direction to Bad Kleinkirchheim. We arrived in the evening and greeted by brilliant village hosts, who prepared everything for us. I was stunned by the high-class hotel service, the amazing view, also how the inner peace expatiated to my body and soul, something that lately I was searching for. I grew up in the city, where the traffic, loud noises and busy people who most likely won’t say “hi” to you if they’re in a rush. Spending my life in the capital of Austria – where my comfort zone is, however sometimes I miss going out of the city and just spend some days in a valley or mountains. 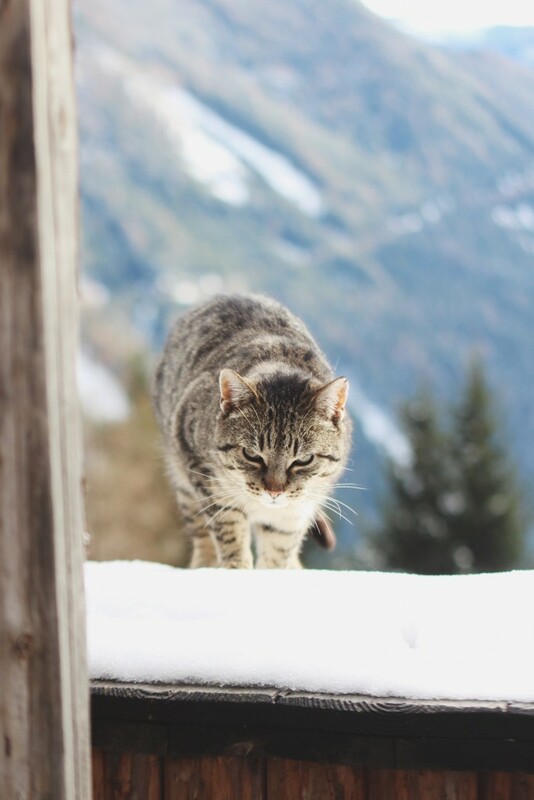 This place gave me the feeling to realize, how calming and relaxing a alpine village can be, where I could open my mind for new ideas and to be grateful for important things in my life. 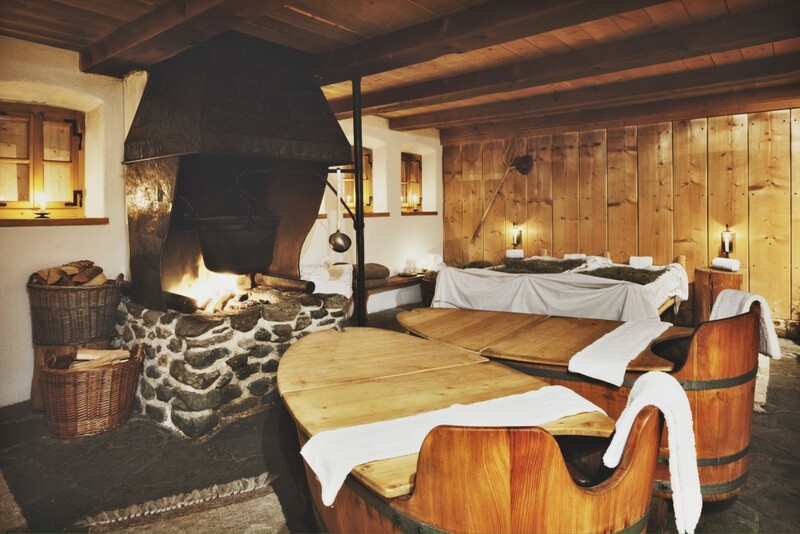 All mountain chalets of Almdorf Seinerzeit, have been traditionally constructed with natural materials, by specialists who still know the old craft. Natural sheep wool is used for insulation and roofs are made in “nail shingle” style. Gutters and hooks are made from naturally shaped trees and the “fried” (wound) fence rings are made with branches of pine trees. 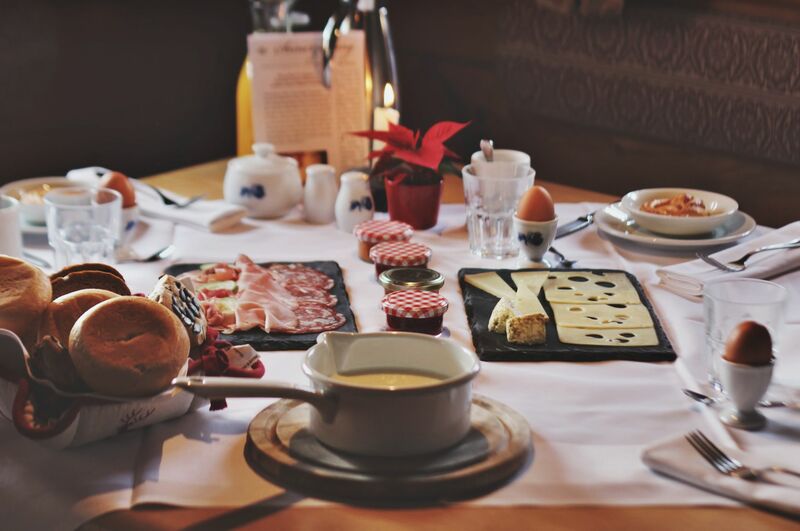 One of the most wonderful things in Almdorf Seinerzeit is, that the village hosts serve the breakfast at the desired time in your own chalet. They also bring a daily newspaper and the polished hiking boots. 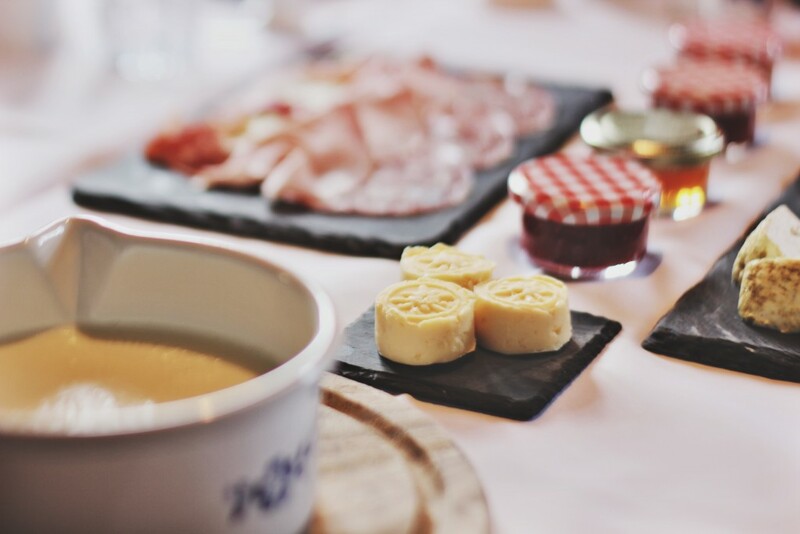 Dinner can be also served according to personal orders, and the smell of delicious food in the chalet takes care of the rest. 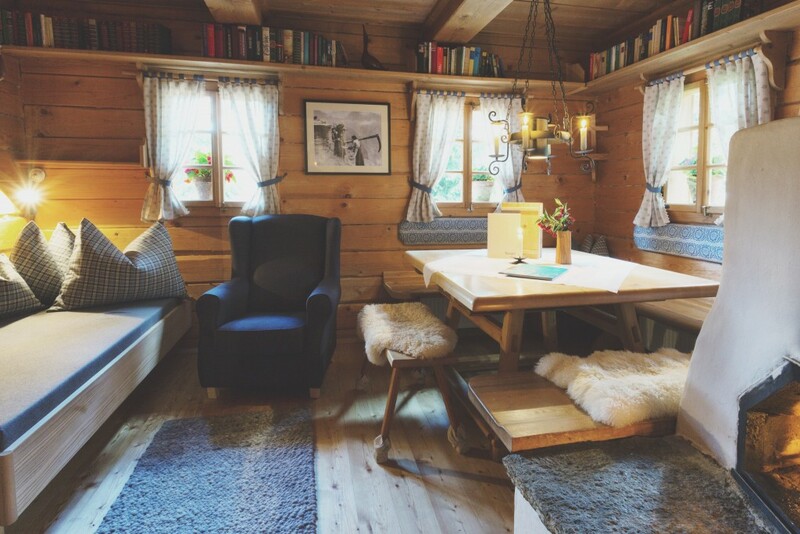 All twenty-one chalets are perfect for family or romantic couple vacations, a very comfortable living space on two floors. 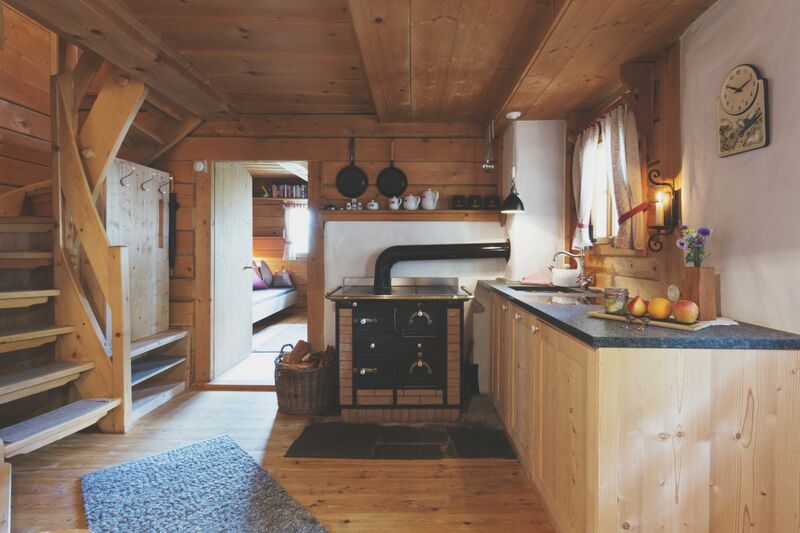 The chalets have a kitchen-living room, a parlor, two bathrooms with toilet, one with a shower and the other with a wooden bathtub. As well as two bedrooms upstairs, a balcony overlooking the valley, a terrace and a beautiful garden. 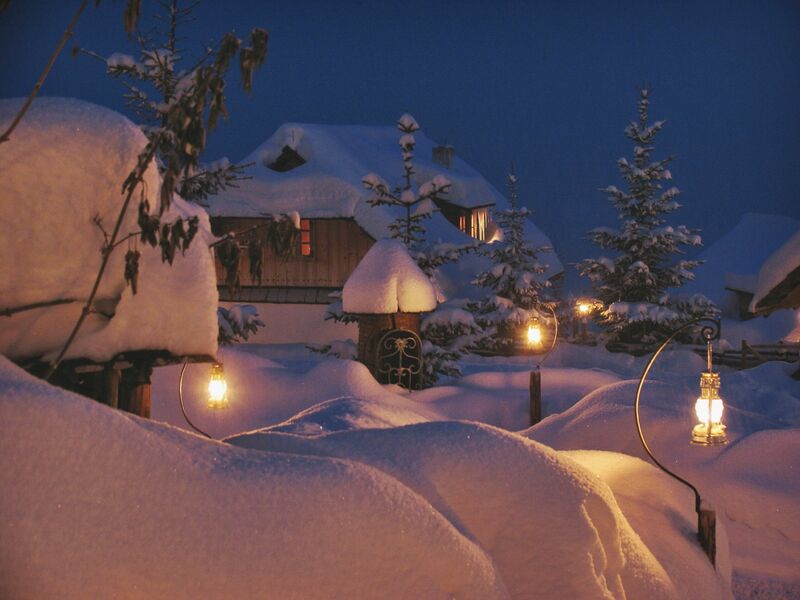 Outside there were hundreds of paraffin lamps, which gently brighten the small village. 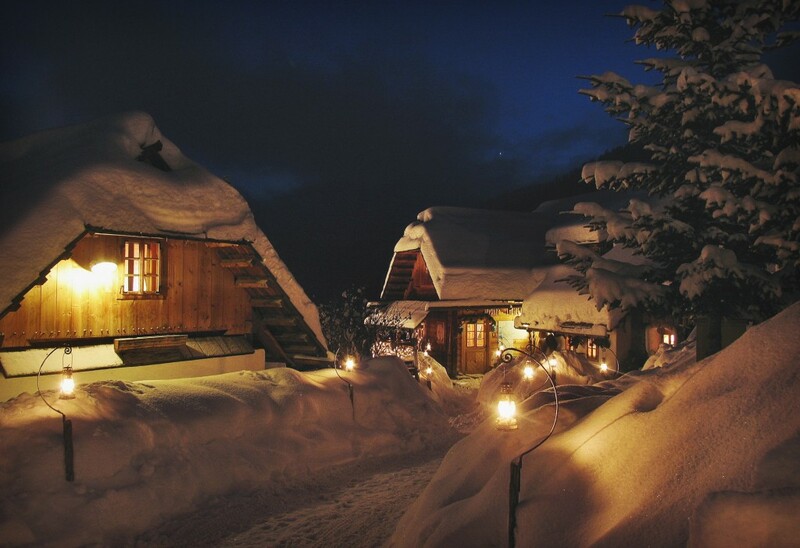 The village hosts take care of every chalet to keep them clean and warm, so when the guests return from a trip or any activities, they will find their chalet in the best conditions and fire crackling in the fireplace. Cozy living room, with lots of books and a fireplace. 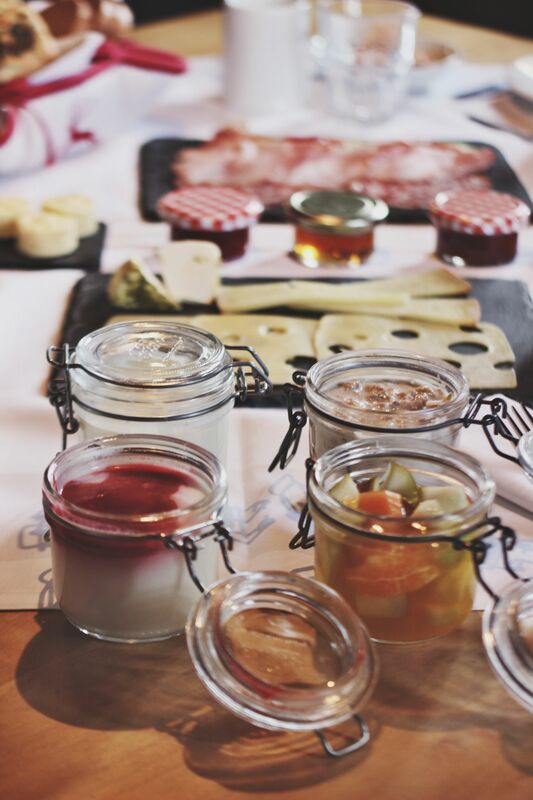 Everyday our breakfast was served and prepared by the village hosts at 10:00 am, with delicious organic alpine food. Delicious home-made organic panna cotta, muesli, fruit salad and granola for the breakfast. Alpine organic milk, butter, marmalade any many more. 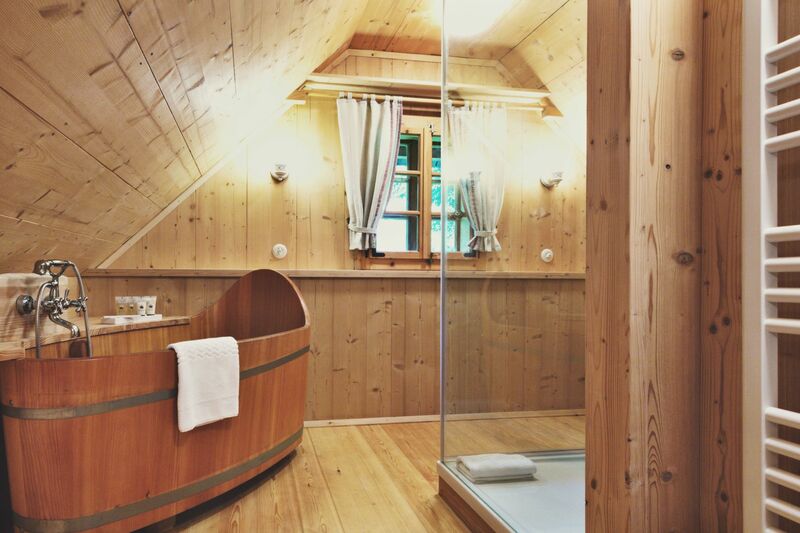 Beautiful bathrooms with a shower and a wooden bathtub. Almdorf Seinerzeit use only high quality products with all-natural ingredients, like from the Feuerstein Essentials made in Switzerland. 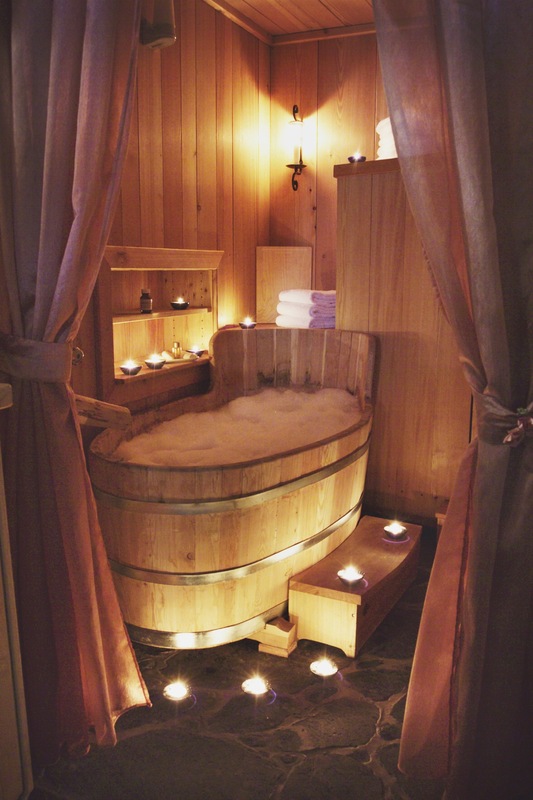 Nothing feels better than a bubble bath with candle light at wooden bathtub. 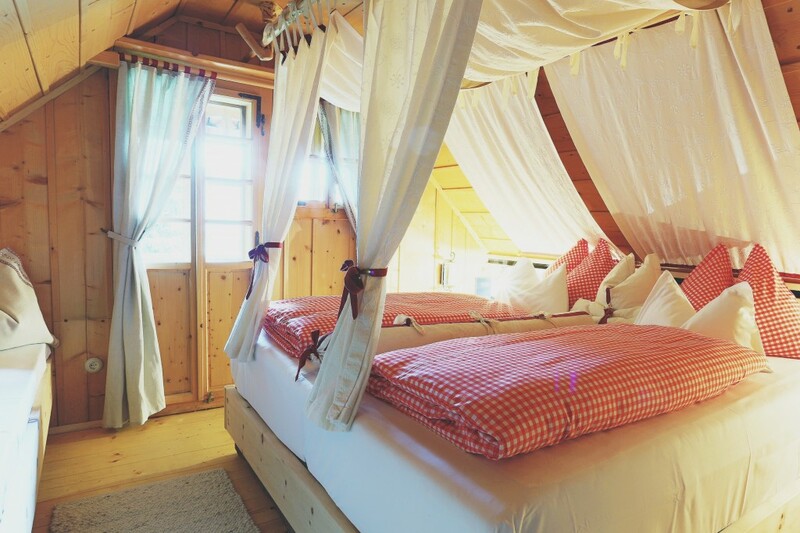 Cozy bedrooms with a balcony and magical view to the mountains and Alps. The village own lots of cute cats and lovely bunnies. 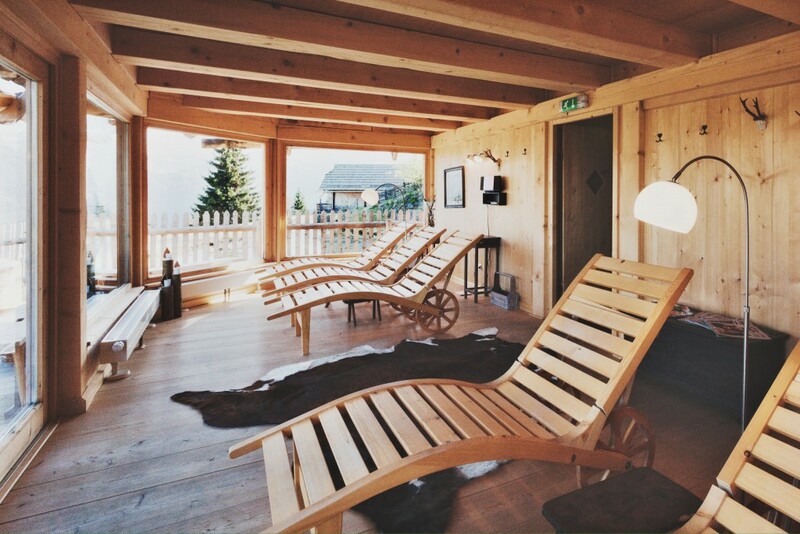 Here you can relax with a panoramic view at Almodorf’s sauna. 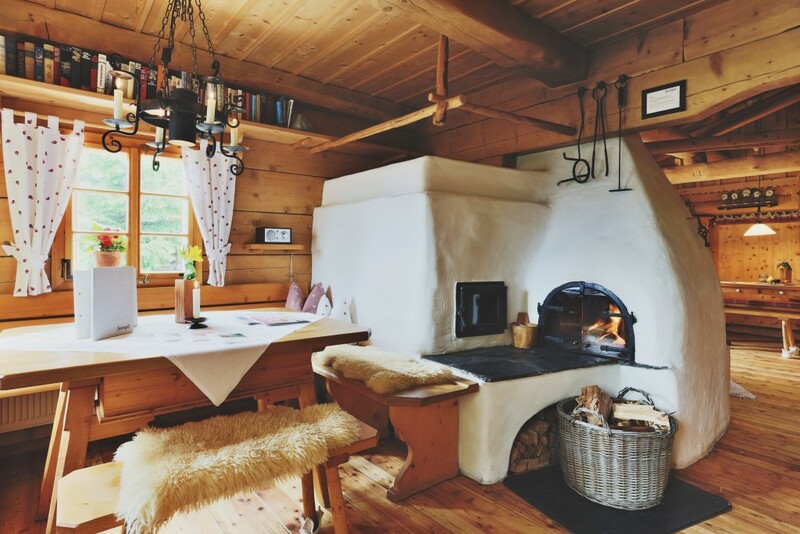 If you want to have a typical Finnish and a mountain herbal sauna, here is the perfect place to relax in a room with panoramic view on the Nockberge, as well as you can jump right after into the pond. Loved spending time in this magical place and I would like to thank everyone who made us feel great during our stay in this lovely village of the Almdorf Seinerzeit. Learn more and book your vacation here.